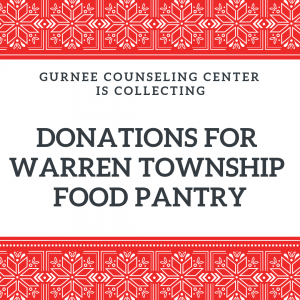 Gurnee Counseling Center is collecting donations for Warren Township Food Pantry through Friday, December 14th. Donations can be placed in the box labeled in our lobby. The food pantry will accept any non-perishable food, hygiene supplies, and paper goods. They have specifically asked for holiday foods such as mashed potato mix, boxed stuffing, canned gravy, canned yams, canned potatoes, canned green beans, canned cranberries, etc. They are also low on pancake mix, peanut butter, and paper towels. 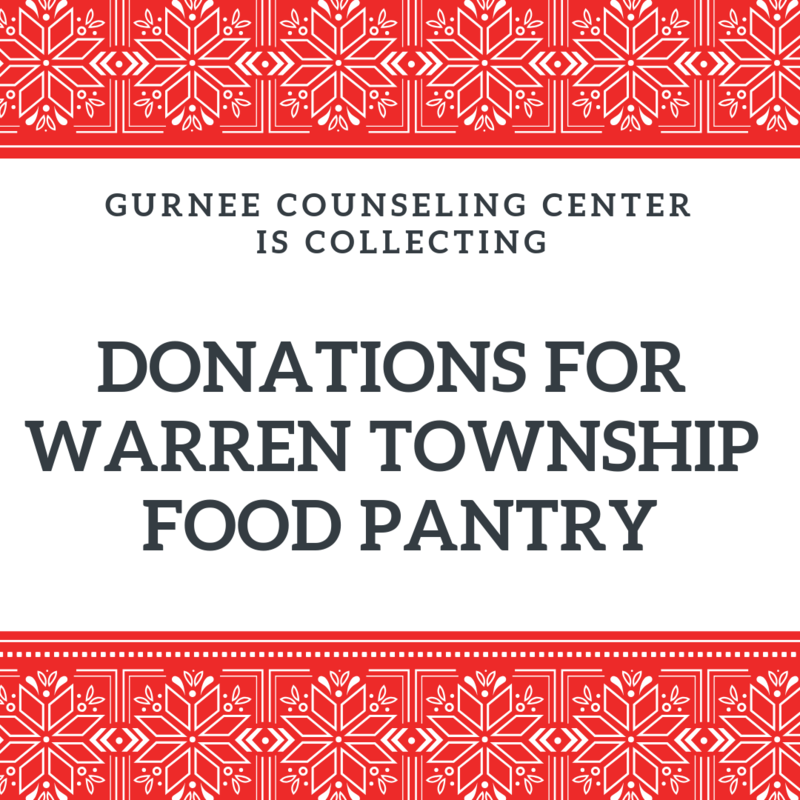 If you or someone you know might benefit from the generosity of Warren Township Food Pantry, please visit http://www.warrentownship.net/services/food-pantry/ for more information.